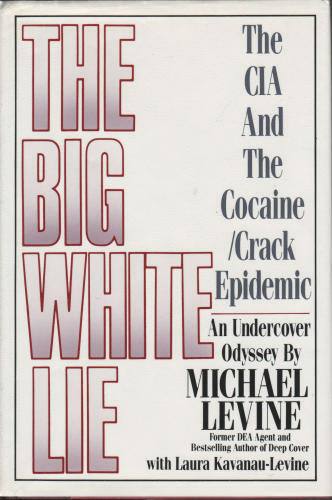 THE BIG WHITE LIE by Michael Levine. a book by Michael Levine. 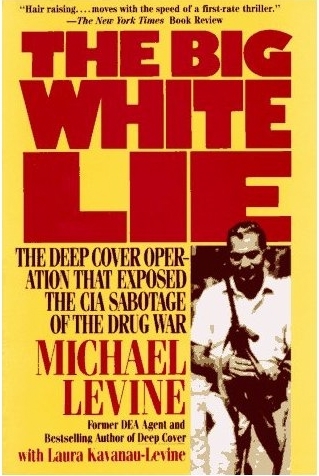 Former DEA agent Levine's account of his South American sting operation to capture major cocaine traffickers--a sting, he claims, that was sabotaged by the CIA. And not only was it sabotaged, but Levine's operation allegedly precipitated the Company into supporting a revolution in Bolivia during which major dealers became high government officials. The reason for the alleged CIA betrayal? According to Levine (author of a previous expos‚, Deep Cover, 1990--not reviewed, and subject of Donald Goddard's Undercover, 1988), the agency wanted to keep Bolivia under its thumb: The poorest country in South America was the most vulnerable to Communist takeover. In the early 80's, Levine, based in Tucson, was given a new identity, a luxury house, and a ``partner,'' Sonia Attala, a past darling of the Medell¡n cartel who'd made millions arranging transactions but who fled stateside when a $1.5 million deal went sour and the cartel put a bounty on her head. Levine and Attala's mission was the arrest of Bolivian Minister of the Interior Luis Arce-Gomez- -a.k.a. the ``Minister of Cocaine.'' With Levine posing as Attala's new business partner, Attala began calling her old contacts to buy DEA-seized cocaine, at which point Levine was supposed to bust the buyers. Levine's description of this undercover work is gripping as he details the tension of big bucks and kilos on the table and of cocaine cowboys--suave yet savage--making deals while drunk and cranked up, playing with their knives and guns. Moreover, the author's suspicions of the CIA's invisible hand appears confirmed by, among other suspicious disasters, having the sound wiped off of all of his incriminating videotapes of drug deals. Flawed by Levine's endless snarling and a sometime sluggish style--but undeniably the real nitty-gritty at its core. (Eight- page b&w photo insert--not seen) -- Copyright ©1993, Kirkus Associates, LP. All rights reserved. --This text refers to an out of print or unavailable edition of this title.